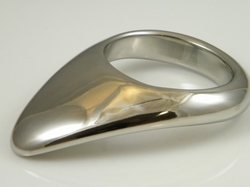 This cockring has a wing that stimulates the prostate. Can be used in different ways. Full stainless steel, highly polished.